I've got a P4 computer system with a GF4 video card and a Lite-On 17" flat screen monitor, and I bought some Asus 3D VR glasses (just the glasses without anything else). I can't get clear if I have to buy some more hardware to make it work. I'm afraid you need to buy a CRT monitor. 3D glasses need a CRT monitor to work; they don't work with LCDs. That's because they need a screen that can show one image, then another image, in very quick succession; the glasses block the view of each eye in turn, so each eye only gets to see the image that's meant for it. The CRT can display two images in quick succession by using the usual progressive scan mode (whole image painted in one go) with a very high refresh rate (like, 120Hz or higher, which many CRTs can manage at a low resolution like 640 by 480), or by using the old interlaced scan mode (odd-numbered lines painted, then even-numbered) with a similarly high interlaced refresh rate. Either way, an LCD doesn't work, because it has no refresh rate in the traditional sense. Its display is updated some set number of times per second, but it stays illuminated constantly; it's not just flickering faster than the eye can easily see. You have no control over how quickly an LCD is updated, and it's likely to have considerable response lag, so even if you synchronised the glasses to the relatively low update rate of the LCD, you'd still get little to no 3D effect. Another problem with LCD displays is that they've got polarisers built in, so viewing them through a couple more LCD panels (the ones in the glasses) may make them look weird - trippily coloured, or very dark, depending on the interaction of the polarisers. The refresh problem is the real killer, though. I am in the market for an MP3 player and I've read in your reviews about storage size (i.e., how storage companies use 1000 byte kilobytes instead of 1024). Is there anyone out there that you are aware of who doesn't use the market-speak and actually figures storage capacity at the proper multiples? Also, how can you tell without actually buying the unit? Even then, how can you tell? I don't think any current storage companies are honest about capacities, if you don't count the makers of CD burners. Yes, yes, "kilo" and "mega" and "giga" are meant to mean powers of ten, but computers still talk in powers of two, and that's how RAM is specified. It's disingenuous of storage manufacturers to pretend they don't know that people expect a megabyte to be 1024 times 1024 bytes, and swindle them out of the difference between that and a million bytes with a note in the small print. We're a fifth of the way to one terabyte hard drives already; the rip-off factor at the terabyte level will be nearly 10%. ...which used the late unlamented 40Mb Clik! disks, later renamed to "PocketZip", and then consigned to obscurity. This capacity rip-off isn't a big deal, though, as long as you know about it. When shopping for an MP3 player, USB drive, hard drive, memory card or team of scribes to impress your data upon clay tablets with reed styli, just assume that the vendors are lying in the usual way. If they are, then the advertised number of megabytes needs to be divided by about 1.05 (1.07, for gigabytes). You'll almost always come very close to the real capacity by doing that. Most current MP3 players look like a removable drive to the PC, so it's easy to see what their capacity is once they're plugged in. In Windows, you can do it by right-clicking the drive in My Computer, and selecting Properties. I have a quick question for you about electricity. The technician in the physics lab at our school told some students that if you touch the terminals of a car battery you'll be killed. As you wrote in the "Avoiding electrocution" reply in this column, and according to the picture of yourself with the battery, I think the technician isn't right (am I right?). You can injure yourself if you touch the terminals with one hand since the resistance is too low (like the story of the guy who stuck his watch bracelet on the terminals, like you said in your article), but touching the terminals with different hands can't kill you (if your hands aren't covered with water or anything...). AFAIK, this is just what you did on the picture and you're still alive. Am I right on this point? Yes, you are right. I am still alive. I feel safe in saying that there's no way for someone with skin on their hands to kill themselves by touching the terminals of a car battery. Make a bet with the technician about it. You'll clean up. Even a one-hand touch isn't dangerous. Twelve volts across your hand - heck, across one finger - won't even produce enough current to cause you any pain, unless the contacts are rather large and damp and salty. Take a little nine volt battery and press it to your skin anywhere you like; it'll be rather uncomfortable if you put it to your tongue, but that's what it takes to feel it. 12 volts isn't much more than nine, and the gigantic current capacity of the car battery means nothing if there's not a low enough resistance between its terminals for that current to flow. When you bridge a car battery's terminals with, say, a spanner, or when you bridge the positive terminal to a negative-ground car's chassis (which is connected to the negative terminal of the battery), there's a very low resistance across the terminals and a ton of current flows; probably enough to weld the spanner to the terminals, and definitely enough for the watch band to get very hot practically instantly. When the resistance is much higher, though, then the current is much lower. Analogously, the gigantic amount of water in your local reservoir is not in any danger of flooding your house when you turn on the shower. 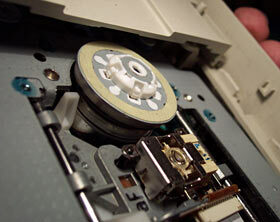 My Lite-On 12X DVD-ROM Drive always made a weird noise, which always made me think it was "breathing" or something. Well, lately, it decided to get tired, so I replaced it with another Lite-On, a 16X. I assumed the irritating noise would've probably been eliminated through improvements, but... NO! The new drive was even worse! I noticed I could hear the noise even when handling the drives, just from moving them around. At this point, my curiosity was way more then I could deal with, so I open the 12X up to look for clues. Now it gets interesting! I noticed that below the disk spindle there was a round "chamber" of sorts, and it seemed the noise was originating there when I shook the drive a bit. Then I realized what the noise must have been. There had to be a number of little round steel balls in there! Moving the drive in circles caused the noise to stay quite constant! These are just guesses though. Can you shed some light on this for me? This peculiar feature is actually documented on the Lite-On site. There's a not-terribly-informative picture here. Your assumption about the balls' purpose is correct. I have a Sony MiniDisc player/recorder. 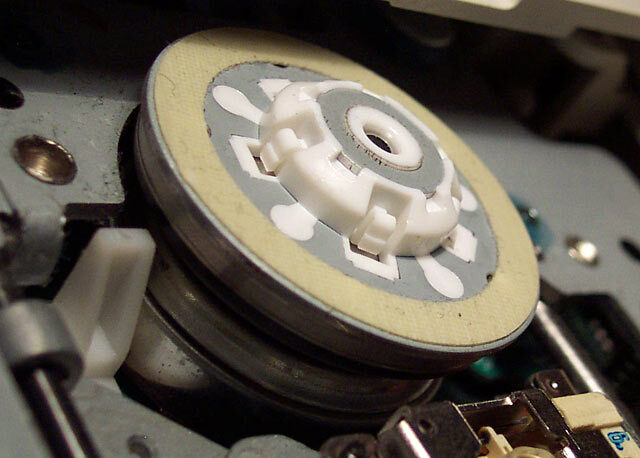 As you probably know, Sony have crippled the ability for a digital transfer from the mini disc to the computer, other than an analog line out jack (headphone). I am in a band and bought the MD player to record our practices and performances. I read your review of the MD-Port devices, and was wondering if these or possibly other devices could go from analog to digital, or what would otherwise be the best way to transfer recordings from my MiniDisc player to my computer. Gadgets like the MD-Ports are for audio output from the computer only. There'd be no point to using an external A-to-D box anyway; you'd just be shifting the analogue-to-digital conversion point outside the computer case. You might be able to get a better A-to-D converter that way, but you'd still be analogue for part of the chain. To do digital recording to a PC, you'll need a MiniDisc player with S/PDIF digital output, which a decent number of home MiniDisc decks have these days, and a sound card with an S/PDIF input. You'll need an MD player with SCMS disabled only if your sound card doesn't ignore SCMS; most of them do. That's good, because MD decks without SCMS are either pro decks (not very portable and pretty expensive, though you can find them on the auction sites cheaper) or pro portables (likely to be quite excitingly expensive). If you don't have a digital-out MD player at the moment, then don't worry about the digital connection at all for now. Use an analogue connection, to a quality sound card (not a Sound Blaster, in other words; maybe one of the budget Turtle Beach cards), with carefully set levels. There's really not much quality difference between analogue and digital recording, for most people's purposes. If you're not using top-spec microphones, for instance, then upgrading the mikes will do you a lot more good than fixing one analogue link in the recording path. I have a workstation and 2 servers sitting in a 11'x15' office, with no ventilation besides a standard HVAC duct and return, and the door. It gets quite toasty in there, especially in the summer. We have an HVAC contractor coming at the end of the week to look at putting in a ventilation fan or something to help draw air from the rest of the office into the room and out again. He wants to know how many BTU's are being generated by the computers. Can you tell me how many BTUs this would generate? None of the systems would have very high CPU utilization. The British Thermal Unit is a heat measure, like the joule or the watt-hour, not a power measure like the plain old watt. So a given PC running for one hour will generate half as many BTUs as one running for two hours. The BTU is often used as if it were a power measure - particularly by heating and cooling tradespeople - which can cause confusion. Anyway, I can't tell you exactly how much heat all of those computers are outputting. If you've got a separate breaker box for the server room, or some other meter or single clamp-meterable cable that goes to that room and nowhere else, then you could work out the incoming power easily enough; if not, then you'd have to work your way around all of the machines with your RMS AC clamp meter and do it that way. Get a good figure for the power consumption and you've got the heat output, right there. As a rough ballpark estimate, I'd say 250 watts between the two P-II servers, another hundred-odd watts for the P4 machine, 250 watts for the two monitors, 230 watts for the printer in standby and 1100 watts when it's printing (I got that off its spec sheet...), and maybe 10 or 20 watts per UPS, depending on what model they are. So, when nobody's printing anything, something in the order of 875 watts for the room's computers would not be surprising. About twice that when the printer's being used. A BTU is about 1055 joules, and "joule" is another word for a watt-second, and 875 watts for 24 hours is 75,600,000 watt-seconds, so you're talking something in the order of 71,000 to 72,000 BTUs per day, if my power consumption guesstimations are accurate, which they may well not be. In this column, I held forth on the subject of replacing pins on CPUs, and how it's not something you're likely to be able to do. Well, some people seem to have had some success with it, as evidenced by the following letters! I have had quite a lot of P4s which lost some pins (may have something to due with the extreme low temps the Prometeia cooler I use subjects the chips to). What I did to get them going again was place a very small and thin piece of metal (i.e. a needle tip) in the CPU socket, just tall enough to touch the bottom of the CPU. Obviously you put the needle tip in the corresponding hole to the missing CPU Pin. The plastic socket will hold the pin vertical. This has worked many times. I tried soldering the pins back and numerous other things, but that usually ended up damaging the CPU more. This method can usually be undone, unless you use too large a needle head, in that case it tends to mess up connectors inside the socket when removed from the motherboard (this is only a concern if you stop using the dodgy CPU). Still, it's one way of getting that expensive 3.06 running again. In regards to why my P4 pins fall off a lot, did you know that Intel only rate the P4 to be taken in and out of a socket 15 times? Reseating and testing the CPU(s) when using certain cooling types can easily go over that "15 times" mark. See more in the PDF file here (as well as a breakdown of what pin does what). I once had a Pentium with a pin missing on the outer edge. Soldering a tiny piece of wire worked for a while, but a far more workable solution was this. Take a length of stiff wire (I used a twist-tie minus the plastic), stick it in the socket where the pin is missing, and bend it flat. Take it out and put a bit more of a kink where it's bent, so the wire's a little higher. Put it back in the socket, and reinsert the CPU. This kept my router running fine for nearly a year :)! I usually had to reseat the CPU after moving the board, but other than that, no problems whatsoever. This guy claims to repair processor pins. He has been fixing motherboards that have capacitor problems for a long time. My little brother snapped a couple of pins off a 386 Cyrix chip back in the day. I put a paperclip in the socket, clipped it with wire cutters, and put the CPU back in the socket. No problem. I have successfully re-soldered the pins onto several P3s (they were damaged in shipping and were going to be pitched). If you can solder a surface mount resister or capacitor, then you have the skill for this job, just use a grounded station, and a low wattage iron. I hadn't thought of putting a pin-substitute in the socket. All I have to add to these worthy contributions is that while replacing data pins with appropriate bits of metal may work fine, the contact resistance between some piece of wire and the socket where a pin used to be means that replacing power supply pins may leave you with a very flaky processor, if it works at all, and may also heat up the replacement pin enough to cause havoc. Modern CPUs draw a lot of juice. You Aussies are always ahead of us North American folk. You're reviewing the XS-Drive II, and we're stuck with this "new release" from I/OMagic (manufacturer page here). 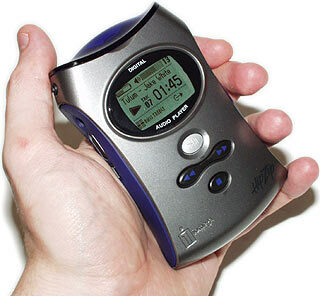 Features such as the incredibly speedy USB1.1 interface make it seem as if it's a previous-gen product. I can't tell what the original was, but since this I/OMagic product is "new", it seems like they're the ones who are behind a bit. The I/OMagic product is pretty obviously the original model XS-Drive, lightly rebadged and slapped with an uninspiringly high price tag. It's being (re)sold by a company with no listing on a major stock exchange, but with a name reminiscent of Iomega's, and an OTCBB stock code that's exactly the same as the code Iomega used to have on the NASDAQ (now Iomega's on the NYSE, as "IOM"). Clearly, this company is an upstanding and fiscally responsible organisation, completely uninterested in passing themselves off as someone else. And they got their press release published, didn't they? And, in conclusion, more tanks. I've been looking for a radio controlled tank that can actually fire. Not the ones that Marui makes. I read your review of them, and decided that if I'm going to shell out $US120 or more for a tank it'll be one that can actually go outside. Does anyone else make a tank that actually fires? Not as far as I know. There are some super-expensive giants that can accept paintball guns (or worse...), and some people scratchbuilding much cheaper versions, with some success; see here, for instance. But I don't think there's anything off the shelf with the off-road ability of, say, a Tamiya 1/16th scale tank's mobility, and some kind of projectile gun.